I returned last week from Inman Connect in San Francisco and returned with a new San Diego foreclosures search tool that should help us target them sooner. For several months, we have had the San Diego REO and Foreclosure widget at the end of each article–along with the Search for Homes and others. The problem with our current Foreclosure widget is that it only includes foreclosure properties in the San Diego MLS–and nothing else. I wanted a more complete picture of the San Diego foreclosure situation, and decided that our readers would want the same. After much research, we decided to use Foreclosure Radar’s service because it offers current information about all foreclosure and pre-foreclosure activity in California–and the viewer can drill down to local San Diego County zip codes to see all pre-foreclosures, auctions, and bank foreclosures. 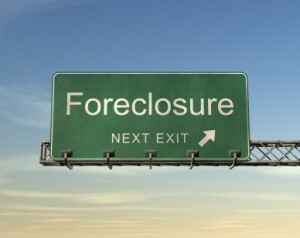 San Diego Short Sale, Foreclosure or Deed-in Lieu-of-Foreclosure? BACK TO THE MARKET!!!! Short Sale approved, New asking price!! Curb Appeal, South Redlands Community, South Facing Victorian Style Home ready for INVESTOR or a BUYERS , who bring their Imagination and make this home a Move In Condition HOUSE. Please see the photos conditions of the house but the Hero Program change the New Roof, Coat Paint Exterior, New/Installed Wood Windows, Re framed half walls, New electrical wiring and 2 electrical panels, New waste plumbing, New copper piping all with permits. Circular driveway, Concrete porch with ceiling fans, high ceiling in living area, family room, dining room with double doors that lead to backyard, upstairs landing all bedrooms. Great Opportunity!! This large estate is located on a prime cul-de-sac in Nellie Gail Ranch. The home has 5 bedrooms, 5 full baths, and 2 half baths. This elegant floor plan is over 6000 square feet, with a grand entryway and 2 story high ceilings leading to a sweeping staircase. The gourmet kitchen has granite counters, large center island,and top-of- the- line appliances. It sits adjacent to the sun room that has built-in nook seating. The family room has a grand fireplace and entertainment center. The master suite has coffered ceilings, fireplace and balcony, which looks over private rear yard which has pool.spa, and waterfalls. A covered patio with barbecue center, fire pit, and nice lawn area, makes this the perfect home for entertaining. 13; 13; Buyer to contribute up to $60,000 towards additional liens not covered in the Short Sale. Short Sale Opportunity to buy in highly sought after Serrano Heights Neighborhood! Entertainer's dream home floorplan! Located on a quiet cul-de-sac street, this 5 Bedroom /4 Bathroom home sits on a large 7673 SF lot with 3885 SF of living space. Dramatic archway entrance leads you through double doors unveiling the formal entry with a grand curved staircase and cathedral ceilings. Some of the home amenities include gorgeous hardwood flooring, downstairs bedroom (was used as den) plus separate full bath. Inside laundry room. Kitchen with granite counter tops and large island for entertaining plus breakfast nook which opens to the sizable family with fireplace. Living room has fireplace. Upstairs has a bonus room loft that is currently used as office with 2 sets of french doors opening onto balcony with side views of hills. Secondary bedrooms connected by a Jack and Jill bath. Master bedroom is over-sized with room for retreat, master bath with soaking tub, separate shower and double sinks, oversized built out walk in closet. Flagstone covered patio with built in BBQ bar area. Great Neighborhood & School District. Ideally located within walking distance to Anaheim Hills Elementary School and Fred Barrera Park, hiking trails, horse trails and close proximity to shopping. Don't Miss seeing this one! Based on information from California Regional Multiple Listing Service, Inc. as of April 22, 2019 08:37 and/or other sources. All data, including all measurements and calculations of area, is obtained from various sources and has not been, and will not be, verified by broker or MLS. All information should be independently reviewed and verified for accuracy. Properties may or may not be listed by the office/agent presenting the information.